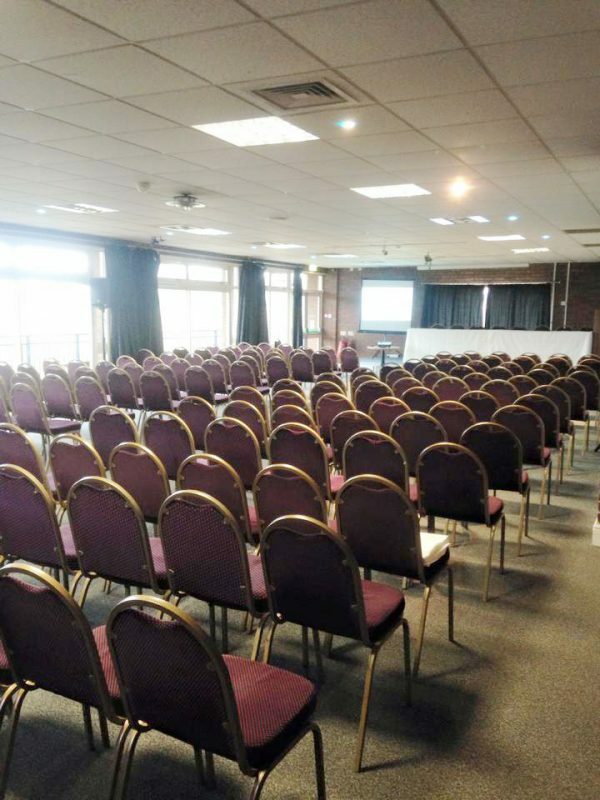 With the four rooms we have available to hire, we are able to provide a host of conferencing options, we can cater for 2-200 people, from a boardroom style conference to a full theatre style with projector screens. 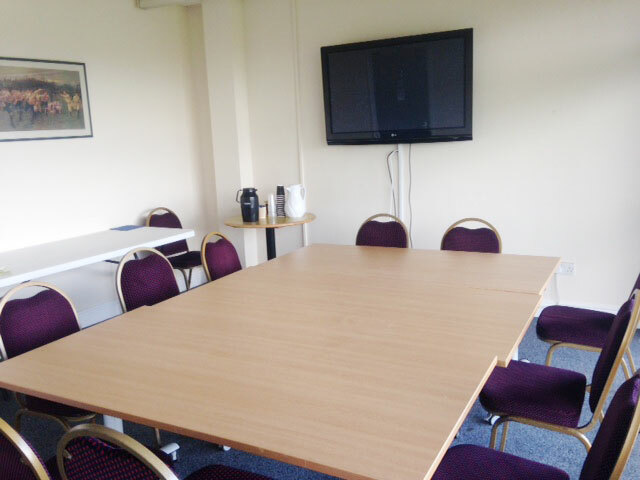 The Boardroom, is ideal for smaller conferences/board meetings, and is located on the first floor, accessible via stair or an elevator. It has a 48″ LED television which can be used for presentations. It has a balcony and overlooks our main pitch. 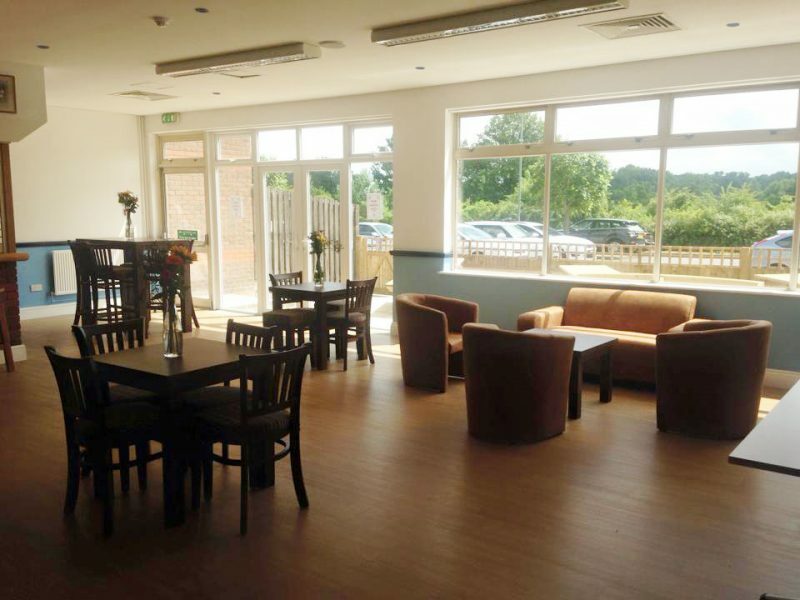 Our Langdon lounge has recently been refurbished to a very high standard, and benefits from having an outside sun terrace. 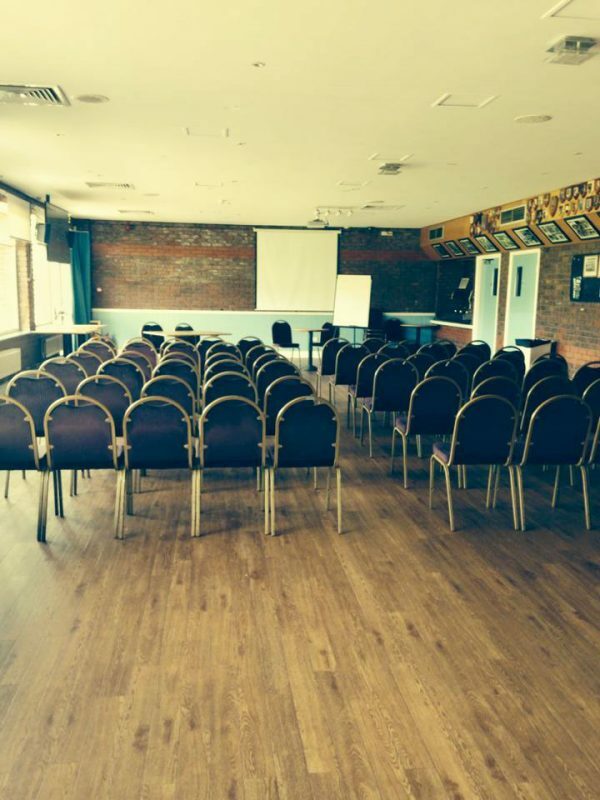 It is ideal for smaller meetings and conferences.